The recent acquisition of IQity is a major addition that adds a strong pillar to NetSuite's manufacturing solution offerings. Almost three years ago, I met Dave Gustovich, the founder and CEO of IQity Solutions, at SuiteWorld and subsequently wrote a brief article, IQity Adds Manufacturing Prowess to NetSuite that concluded by saying “IQity is a young company with a lot of potential. Expect to hear more about them as they grow.” Well now we’re hearing more about them. NetSuite recently acquired IQity’s cloud business and, similar to the way NetSuite’s acquisition of eBizNET provided serious WMS capability, this gives NetSuite more serious MES1 capabilities. Founded in 2007, IQity had already achieved Built for NetSuite certification by the time I talked to them three years ago. About 18 months ago, they rebuilt their solution to run natively on NetSuite which has helped NetSuite compete in a significant portion of larger deals and opened the door to other industries. At the time of the acquisition, NetSuite and IQity had nearly 40 joint customers. 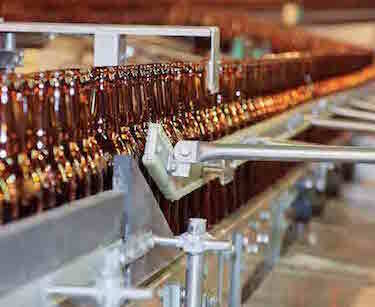 While IQity has capabilities that span discrete and batch process industries, they have had particular success in Food and Beverage manufacturing, leveraging NetSuite’s standard records to provide capabilities like traceability, quality, inspections, test results, and operator qualifications. They also support a mobile, tablet-based application allowing plant managers to move about the plant while staying connected, receiving alerts, and maintaining visibility into operations status. IQity has finite capacity scheduling capabilities (a.k.a. 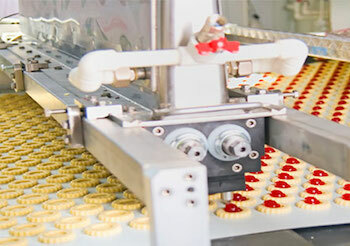 APS - advanced planning and scheduling) with constraints by available resources, capacity, and utilization targets, as well as MES capabilities that interface directly to SCADA, PLC, DCS, handheld devices, and bar code scanners on the factory floor via their IQ-Connector appliance in the factory. This allows the main application to run in the cloud, but the plant can keep running if the network goes down. They have strong tools and visualizations for managing variation or deviation at the point of execution, immediately alerting the operator or supervisor when something is out of tolerance. The system can analyze, in real-time, the financial opportunities of process improvements. Their data model appears to be quite extendable and able to support just about any attribute or unit of measure or other dimension of data as needed. IQity is based in Pittsburg, Pa., but a lot of their employees work remotely. This should help in integration of the company. NetSuite expects to retain a lot of IQity’s specialized talent and knowledge, for example their professional services group that does the technical implementation work like interfacing with plant equipment and systems. That knowledge and talent is an important part of the overall value. With this acquisition, NetSuite adds even more credibility and strength to their manufacturing offerings and can serve to expand NetSuite’s roster of clients that own and operate manufacturing plants, especially in Food and Beverage.